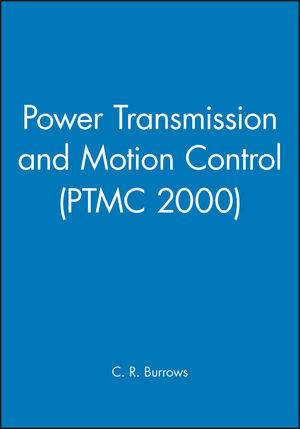 Power Transmission and Motion Control presents a collection of papers showcased at PTMC 2000 at the University of Bath. Representing the work of researchers and industry leaders from around the world, this book features the latest developments in power transmission, with an emphasis on hydraulic and pneumatic components and systems. Insight into current projects on the forefront of technology and innovation provides an overview of the current state of the field, while informing ongoing work and suggesting direction for future projects. Clifford R. Burrows is the editor of Power Transmission and Motion Control: PTMC 2000, published by Wiley.